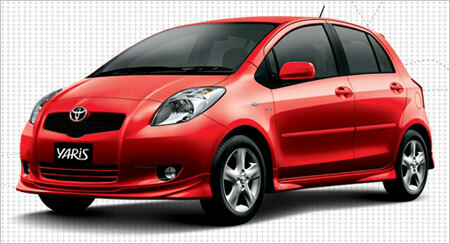 Toyota has released specification and prices for the Toyota Yaris on their website. The Toyota Yaris comes in two trim levels, the Toyota Yaris 1.5G and the Toyota Yaris 1.5S. Let’s have a look at the specifications and most importantly price of the latest hatchback on our shores. Both the Toyota Yaris 1.5S and the Toyota Yaris 1.5G come with the 1Nz-FE engine, the same 1.5 litre VVTi engine found in the Toyota Vios. This engine makes 109hp at 6000rpm and 142Nm of torque at 4200rpm. 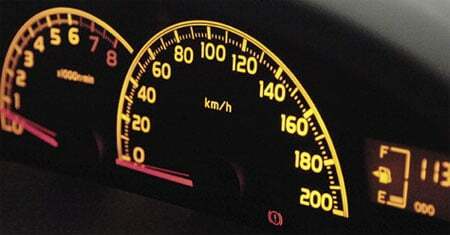 Both engines are mated to a 4-speed Super ECT automatic gearbox, with gate shifters. I was kind of hoping we’d get a CVT, but Toyota’s Super ECT is not too bad either. 142Nm of torque isn’t going to be very zippy, but it’ll suffice. The interior of the Toyota Yaris 1.5S is black trimmed, while the Toyota Yaris 1.5G is silver trimmed. 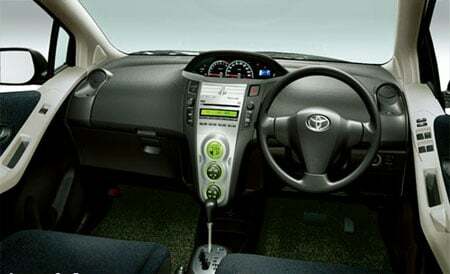 The Yaris 1.5S has amber Optitron meters while the Yaris 1.5G has white Optitron meters. The entertainment system also has it’s display colour coded according to trim. This is because the 1.5S is the sportier version, so amber with dark trim gives that sportier feel. Other differences in interior trim include medium gray seats for the 1.5G, and black seats for the 1.5S. The 1.5S also has a leather-wrapped steering, and a leather-wrappde shift level and knob. 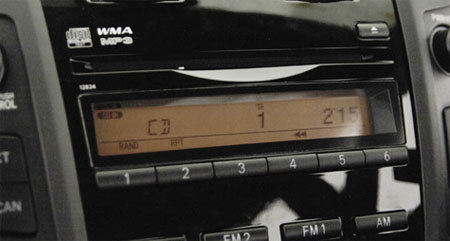 The audio system which plays audio CDs, MP3 and WMA is equipped with 6 speakers. The AM/FM tuner antenna is of the pole type. For extra storage space, the rear seats can be folded down; a common feature with all hatchbacks these days. The Toyota Yaris 1.5S also comes with a full bodykit with front, side and rear skirts, while the 1.5G model does not. Other differences between the 1.5S and the 1.5G are the brakes. The 1.5S has larger 15″ ventilated discs at the front and 15″ solid discs at the rear. The 1.5G only has 14″ disc brakes at the front, while the rear wheels use drum brakes. Both cars come with 15″ sports rims wrapped with 185/60/R15 tyres. Safety features include LED brake lamps for faster activation, electronic brake-force distribution, brake assist, dual air-bags for the driver and passanger, and side impact protection beams. And of course, you also get a GOA-certified body. The Yaris fuel tank is 42 litres so it’ll cost you RM80.64 to give her a full tank of petrol at the current prices of RM1.92 per litre for RON97 petrol. I don’t know if the Toyota Yaris takes RON92 petrol. How much will it cost you? 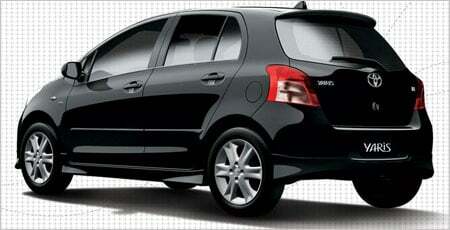 Peninsular Malaysia prices are RM92,800.00 for the Toyota Yaris 1.5G for private registration. The Toyota Yaris 1.5S will cost you RM98,800.00 for private registration. That’s RM6000 extra for a full bodykit, better brakes, and a sportier interior trim. I’d say it’s pretty worth it, since the bodykit is original from Toyota. These prices are on the road prices including insurance. It’s closest competitors are the Honda Jazz and the Suzuki Swift, both CBU hatchbacks. The Honda Jazz 1.5 i-DSI costs RM94,800, while the Honda Jazz 1.5 VTEC costs RM102,800. The Suzuki Swift CBU costs RM87,279 for the base model and RM91,779 for the premier model. There are 7 colours available – Silver Metallic, Medium Silver Metallic, Black Mica, Super Red V, Pale Orange Mica Metallic, Dark Blue Mica, and Light Blue Mica Metallic.